Meghan Markle and Prince Harry weren’t the only couple to have a royal wedding the third weekend in May 2018. 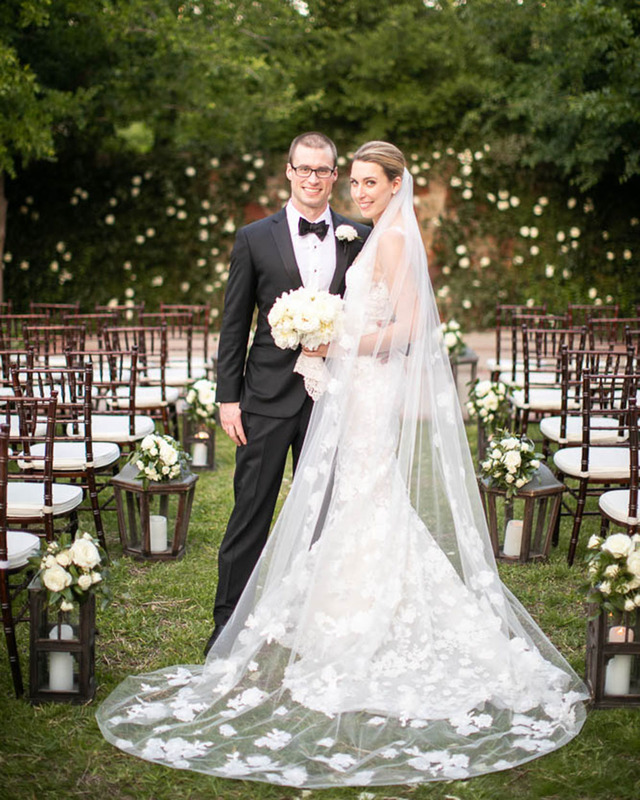 Jennifer and Walker had their own regal celebration at Hyatt Regency Lost Pines Resort & Spa outside of Austin, Texas. 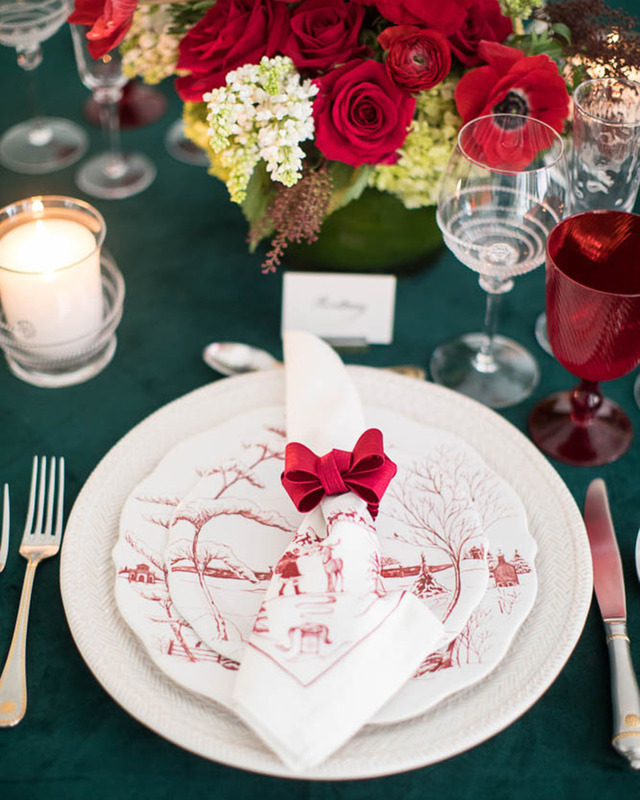 Planned by Katy Preisler of Keely Thorne Events, the celebratory weekend began with a Texas-themed welcome party, followed by a black-tie wedding, and a brunch the morning after. 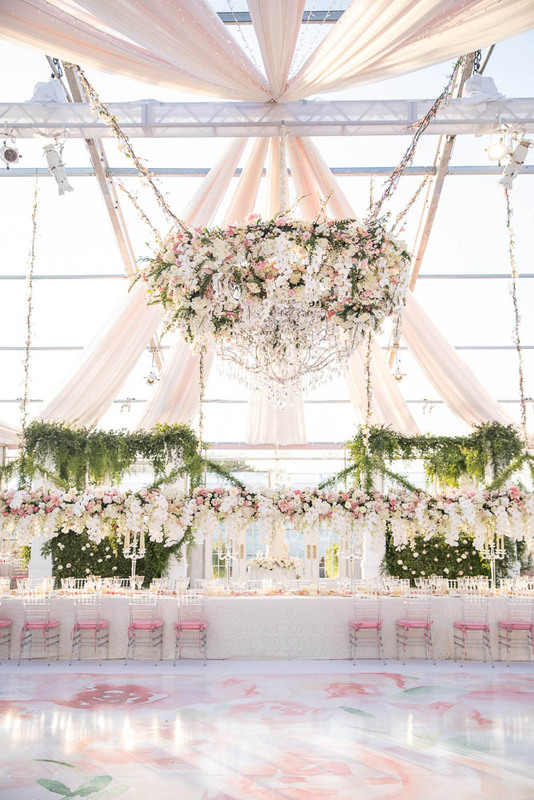 Guests gathered in a lovely tented structure with gorgeous floor-to-ceiling windows for the ceremony decorated with hedge walls, garlands of greenery, and lush arrangements of vanilla and pink florals. 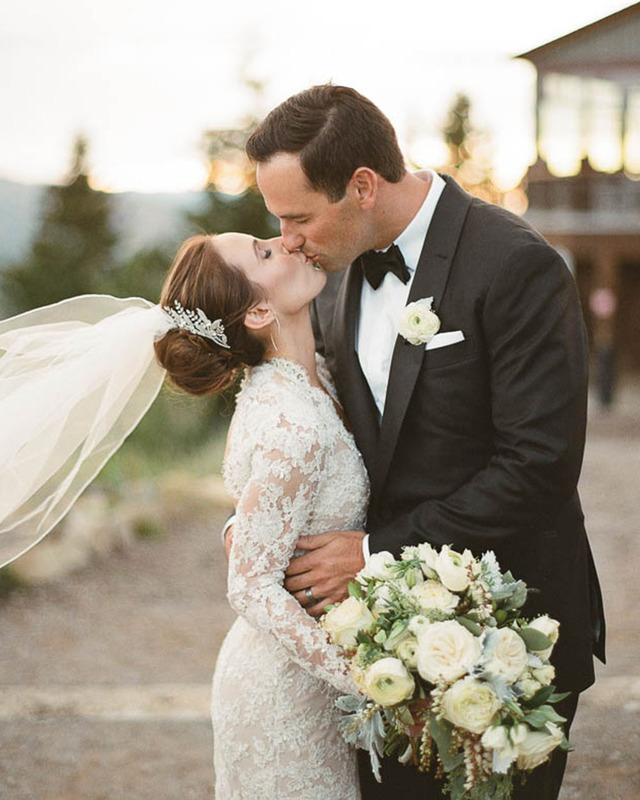 Jennifer was resplendent in a strapless Vera Wang ball gown featuring lace and organza appliqués and a voluminous overskirt. She carried a bouquet of peonies accented with astilbe, sweet peas, ranunculuses, tulips, and roses in shades of alabaster and dusty rose and wore a chapel-length veil with Chantilly lace trim as she exchanged vows with her beloved. Guests gathered in a lovely tented structure with gorgeous floor-to-ceiling windows for the ceremony decorated with hedge walls, garlands of greenery, and lush arrangements of vanilla and pink florals. Following the heartfelt proceedings, attendees enjoyed an alfresco cocktail hour before making their way into the clear-tented space for the sit-down dinner service. Tables were adorned with luxe centerpieces featuring blush and ivory blooms, towering candelabra, or suspended floral chandeliers. Once slices of the magnificent cake were cut and personal-sized pies were savored, guests spent the rest of the evening on a dance floor featuring a watercolor floral motif to the sounds of a live band, who kept the newlyweds and their loved ones dancing all night long.